Harman has developed an augmented reality display technology that give you real-time information in your windshield while you drive. It's like Google Glasses for your ar except that the product is actually about to launch it (or so they say...). And Harman promises you won't crash while using it. The idea is to provide you with crazy features like augmented navigation. Depending on the specific implementation, the HUD could talk to the cloud via LTE, or Wi-Fi. 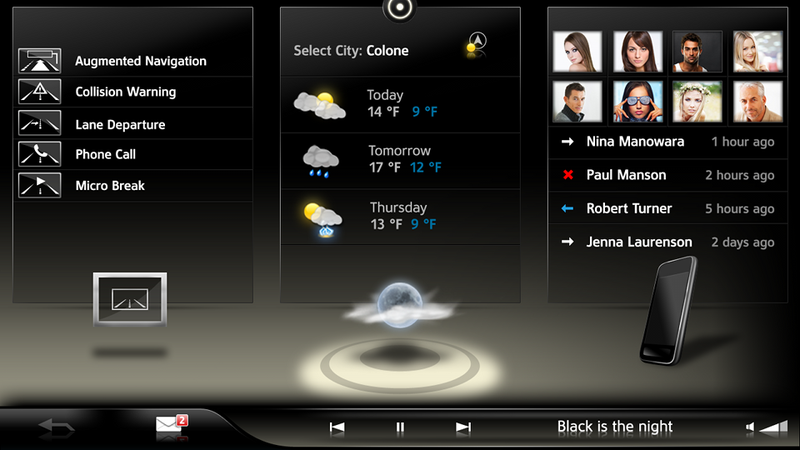 For controls, the HUD is touch free and controllable by either voice or gestures. We're having a very hard time imagining how the screenshots Harman sent us of its display tech aren't going to be distracting, but Harman says that just like you can't tinker with built-in car GPS while you're driving on some cars, the HUD won't respond to you either.